Ford Motor Company said today it plans to launch 17 new or refreshed Ford and Lincoln vehicles in the next 24 months to accelerate growth in the Middle East and Africa – including the Ford Fusion sedan and the EcoSport small SUV debuting today at the 2013 Dubai International Motor Show. "The Middle East and Africa is poised to become one of the next big automotive growth markets and we want to be there for these customers with great new cars and trucks," said Stephen Odell, president, Ford of Europe, Middle East and Africa, speaking today at the show. "Ford and Lincoln sales have grown 60 percent in the Middle East over the past four years, and we expect total industry sales in the combined Middle East and Africa region to increase nearly 40 percent to around 5.5 million units by 2020." Two all-new vehicles are making their Middle East debut this week at the show. The Ford EcoSport small sport utility vehicle is based on Ford's global B-segment platform, and combines the agility, affordability, and fuel efficiency of a small family car with the flexibility, style, and spaciousness of a sports utility vehicle. The all-new Ford Fusion brings mid-size sedan customers an unprecedented selection of driver-assistance technologies, such as Lane Keeping Assist, Blind Spot Information System, Active Park Assist, and Adaptive Cruise Control. Its striking silhouette introduces the new face of Ford, with quality and craftsmanship customers will see and feel inside and out. Middle East customers also will have an opportunity to see the Ford Atlas Concept, which makes its premiere outside of North America at the show. The Atlas Concept raises the bar on capability, fuel economy, and innovation, and pushes the limits of what a full-size pickup can be. To take advantage of profitable growth opportunities, Ford is combining the four regions of North Africa, Sub-Saharan Africa, South Africa and the Middle East into a single business unit. Effective Jan. 1, 2014, all sales, share and financial reporting will be consolidated for the 47 Ford markets throughout the Middle East and Africa. The new Ford Middle East and Africa operation – Ford's fifth global business unit – will be headquartered in Dubai. "The Middle East and Africa region is comprised of very diverse markets with different political, cultural and economic environments," Odell said. "Building a robust and profitable operation in this region requires a dedicated focus and clear understanding of how to support the unique conditions and customer needs in these markets." To attain that dedicated focus and support the diversity of the markets, Middle East and Africa will be managed in two sub-regions – South Africa and Sub-Saharan Africa, and the Middle East and North Africa. While regional operations will be headquartered in Dubai, Ford will maintain regional offices in both South Africa and Dubai. Leading the new Ford Middle East and Africa region is Jim Benintende, a 36-year Ford veteran who will oversee operations in all 47 markets. Benintende has significant experience in the Middle East and Africa region, most recently as director, Ford Export Operations and Global Growth Initiatives. He also previously served in the Ford Middle East and North Africa region in various roles from 1994-2006. 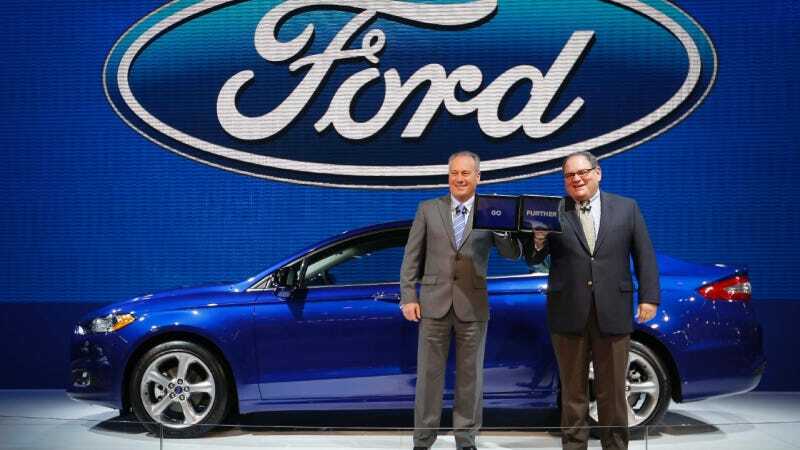 "Our intention is to grow the Ford business while staying true to our principles of being active and supportive members of the community in the Middle East and Africa," said Jim Benintende, president, Ford Middle East and Africa. "Under the One Ford strategy, we will be able to leverage our global vehicle and technology portfolio, and our scale to better serve customers in this important and dynamic region." Ford has a strong heritage in the Middle East as well, with more than six decades of presence in the region. The company has increased its sales for the Ford and Lincoln brands in the region by nearly 60 percent during the past four years. In the first three quarters of this year, Ford Middle East has already recorded strong sales with a nearly 20 percent increase compared to the same period in 2012. The strong performance is brought by customers' continued confidence on Ford and Lincoln vehicles complemented by massive dealer expansions across the region, according to the company. In the past three months alone, several Ford dealers have opened new facilities in a number of markets, including Al Tayer Motors with its new dealership in Sharjah, UAE. In total, there are more than 60 new Ford and Lincoln sales and service facilities currently in process region-wide to serve the expanding Ford and Lincoln customer base.